Covered in typical Riviera vegetation comprising of pines, myrtle and broom. There is a coastal walk that goes all the way round the Cape and is named after the architect Le Corbusier. Cap Martin used to be the place to be on the Riviera but nowadays that honour has moved elsewhere. The Cape has a pathway leading from Mala beach to the Marquet beach. The Cape is rich with flora and you will see the typical architecture of the Belle Epoque villas. Cap d’Ail is now a modern seaside resort with fashionable shops and fashionable residential quarters. The Cape has 11 km of coastal walkways within what is known as the millionaires peninsula. The area remains remarkably unspoilt and you will find magnificent villas and luxury hotels. There is a coastal walk around this cape bordered by Aleppo pines. 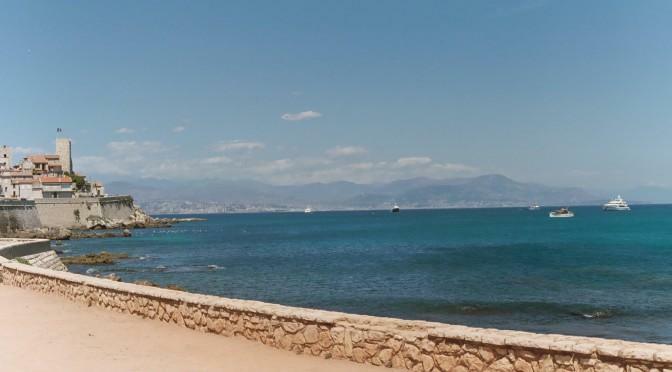 The path leads to the southern tip of the peninsula between Antibes and Juan-les-Pins and its sanctuary, Notre Dame de la Garoupe. Here you will also find the Hotel du Cap-Eden Roc.